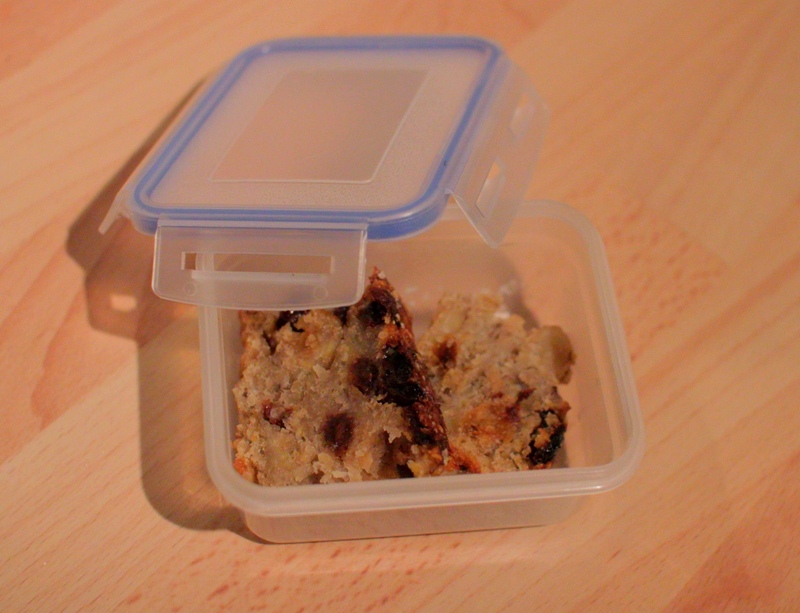 Several of you parents have requested a blog about kids packed lunches. These savoury and sweet snacks are based on things I have have tried with 2 year old Freddy and his friends, or on other mum’s recommendations. The snacks that require cooking are quick to prepare and make enough for several portions, so save you time in the long run. They will keep for a few days in an airtight container or can be frozen. If you take a portion out of the freezer in the morning it should have defrosted in time for lunch. Hope my ideas work for you! Canned tuna, mayo and sweetcorn. Houmous and grated carrot/cheese and grated carrot with mayo. Mackeral pate (mix/blend together fresh or tinned mackeral, cream cheese, spring onions and a little lemon juice). Shop bought falafel with houmous. You could make sandwiches look more interesting by cutting them in to shapes with cookie cutters. 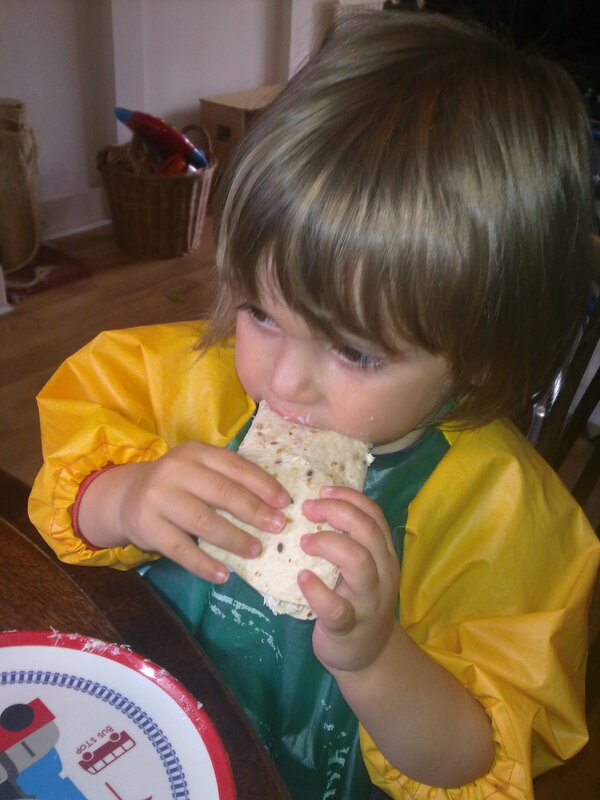 Lunch on a stick – Use straws to make kebabs using any combination of food e.g. cheese, leftover veg, meat, quorn, olives or cubes of tortilla omelette. You can cut the straw so it fits in your child’s lunchbox. Mushroom roast (20 mins prep/30-40 mins cooking) – This childhood favourite is loaf sized, so it will provide several portions. It is also good as a family meal or with roast veg as a veggie Sunday roast! See recipe below. Savoury carrot and feta cake (20 mins prep/40 mins cooking) – As with mushroom roast this is loaf sized so can be cut in to wedges, or alternatively you can make mini cakes. You could make variations on it depending on what you have at home e.g. replace the carrot with grated courgette or add chopped veg such as pepper (no need to cook first) or squash (needs pre-cooking) and/or nuts for extra protein. See recipe below. 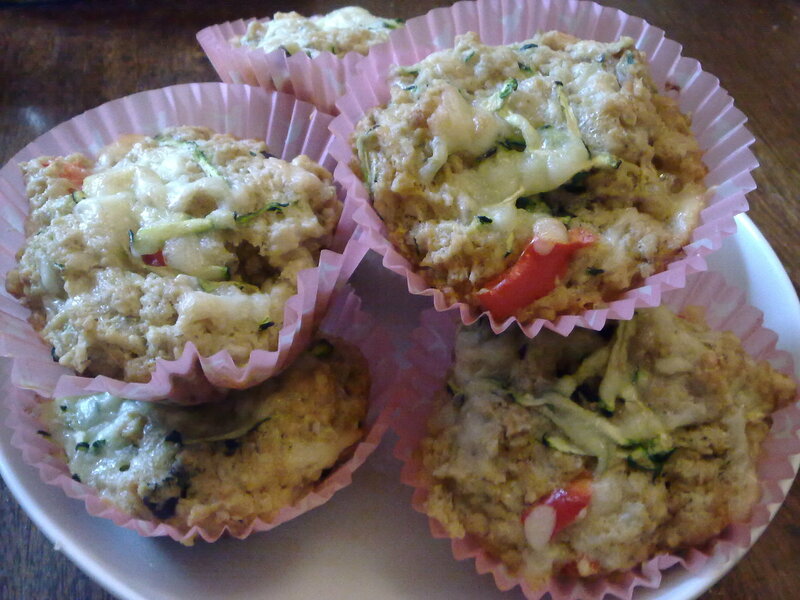 Spinach and cheese muffins (15 mins prep/35 mins cooking) – These cheddar cheese and spinach muffins are a great snack size. If you don’t have spinach you can use different veg instead and can add things like pumpkin seeds and pine nuts for extra nutrition. You could grate carrots or courgette in. See recipe below. Cream cheese or houmous in pots with chopped veg for dipping in – Kids seem to like dipping! Sugar free banana bread (12 mins prep/50 mins cooking) – This super quick to prepare banana bread contains oats and is sugar and egg free, but the vanilla essence and raisons make it sweet enough to appeal. You can choose what nuts to add e.g. walnuts/pecans/brazil nuts. See recipe below. 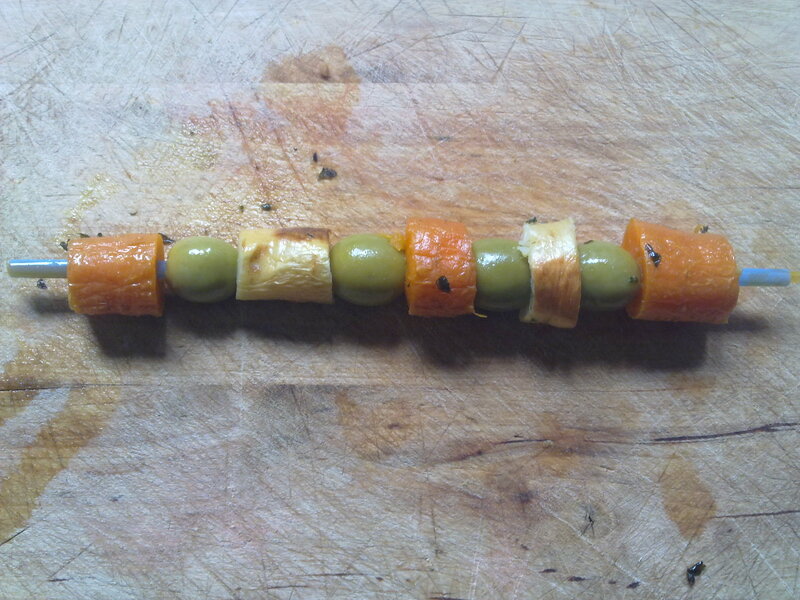 Fruit on a stick – Use a straw to make a kebab with fresh and/or dried fruit. Apricot, honey and pistachio flapjacks (10 mins prep/40 mins cooking) – Again you can vary what fruit/nuts you put in these delicious flapjacks. See recipe below. Further suggestions for kids packed lunches are always welcome. 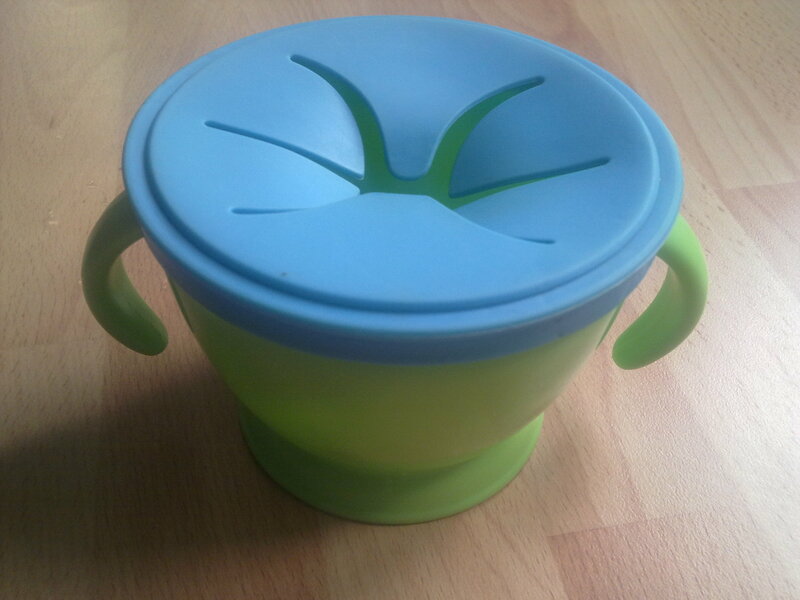 Oh, and just one last thing if you have younger children…these snack pods are great! Heat the oven to 180C/gas mark 4. Butter a 1.5-litre loaf tin, or a loose-bottomed Victoria sandwich tin, and line with buttered baking parchment. Sift together the flour, cornmeal/polenta, baking powder, salt and pepper. Stir in the cooled cooked onion, grated carrot and feta. In a small bowl, whisk together the eggs and milk, then mix into the flour mixture until just combined, and pour into the prepared tin (or tins). Preheat the oven to 170 degrees/gas mark 3. Melt butter in a saucepan over a medium heat and fry the onion until cooked. Set aside. In a large bowl stir together the flour, baking powder and cheese. In a separate bowl, whisk the milk and egg together, then slowly pour into the flour mixture and beat until all the ingredients are well mixed. Stir in the onion and spinach with a wooden spoon until evenly dispersed. Spoon the mixture in to paper cases until two-thirds full and bake for 30-35 minutes, or until golden and a knife/toothpick inserted in the center comes out clean. 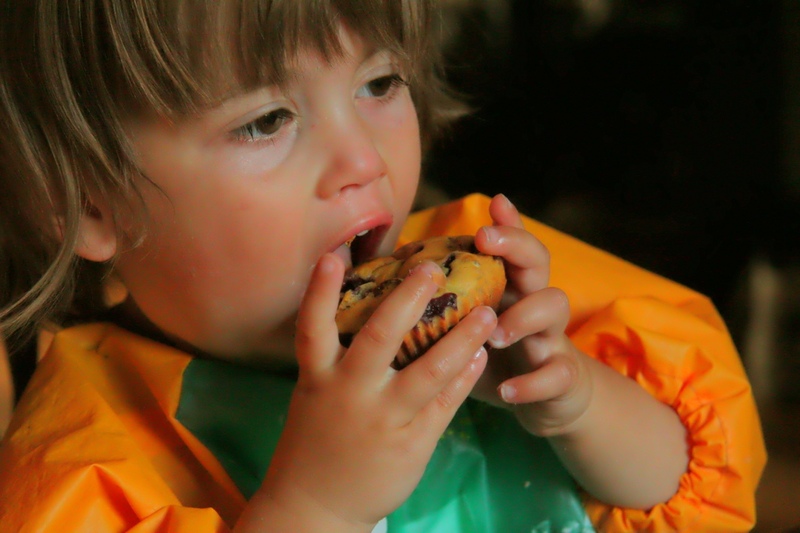 Place the muffins on a wire rack to cool. Preheat the oven to 190 degrees/gas mark 5. Mix all the ingredients together in a mixing bowl. The consistency should be moist. Spoon in to a greased 450g (1 lb) loaf tin and bake in the oven for 50 to 60 mins or until a skewer inserted into the centre comes out clean. Cool for 10 mins. Put butter, soft brown sugar and honey in a small pan, then heat gently until melted. Tip oats, pistachios and apricots into a medium bowl. Pour over the melted butter mixture and stir to combine. Transfer to a 20cm x 20cm greased and lined baking tray and cook for 35-40 mins, until slightly browning. Remove and cool in tin, then slice into 16.